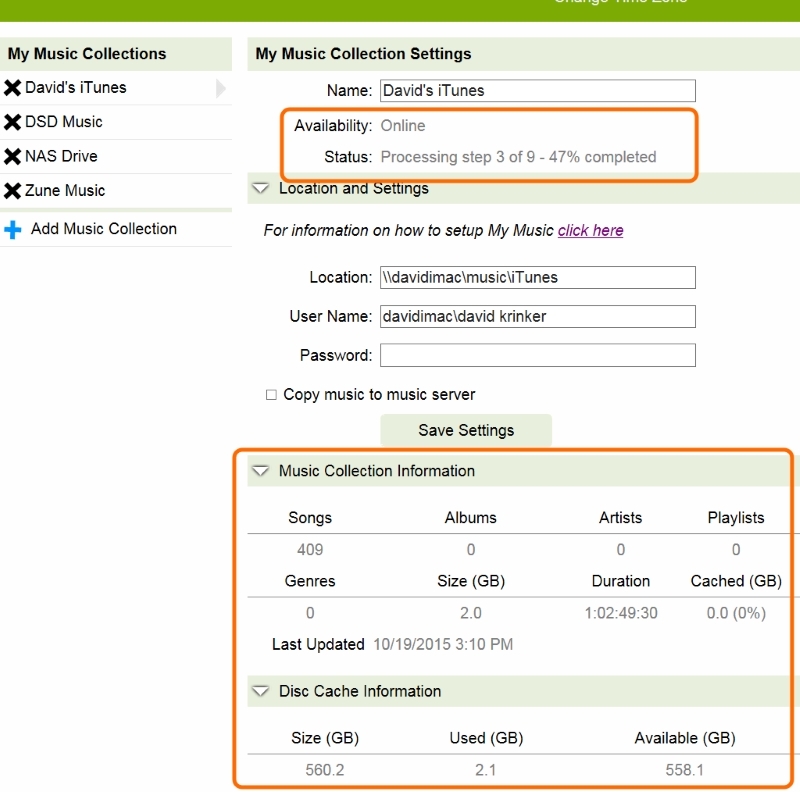 CasaTunes QuickSync will discover, index, and if configured, copy all your music files located on one or more of your PCs, Macs and/or networked storage devices, to your CasaTunes music server. Once the music files have been discovered and indexed, CasaTunes can play your music either from their original networked location, or from a local copy stored on the music server. 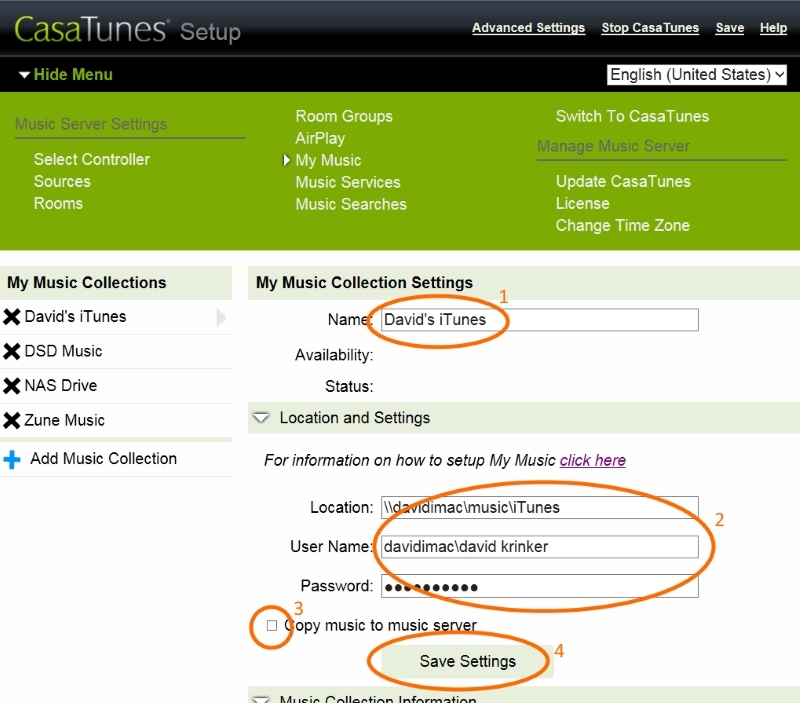 Before CasaTunes QuickSync can discover and index your music, you must share, that is allow CasaTunes to access, the music on your PC, Mac or networked storage device. 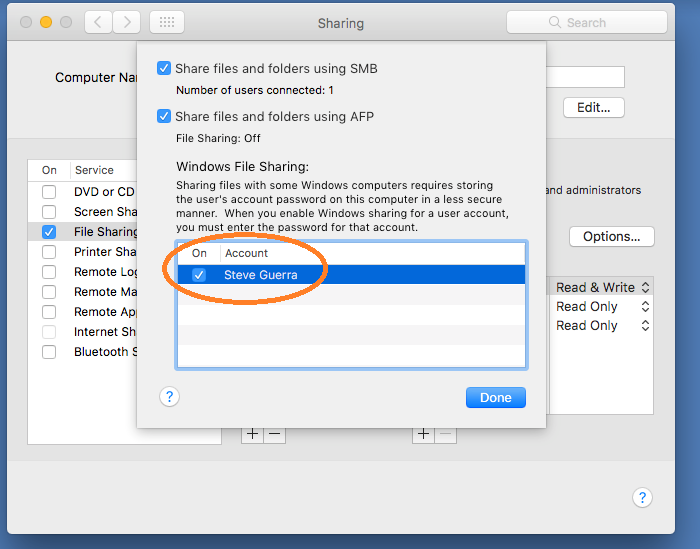 The instructions to share access to your music varies depending on whether your music is on a PC or Mac. 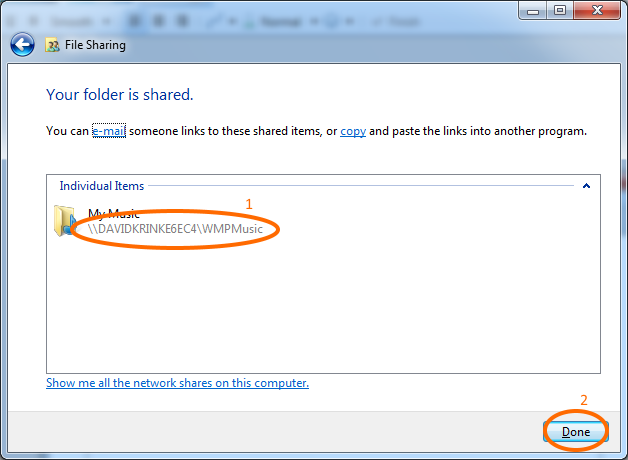 To share access to a folder on your networked storage device follow the instructions for the networked storage device. To share the folder containing your music, click + at the bottom of the Shared Folders list, locate and select the folder that contains your music, and click Add. 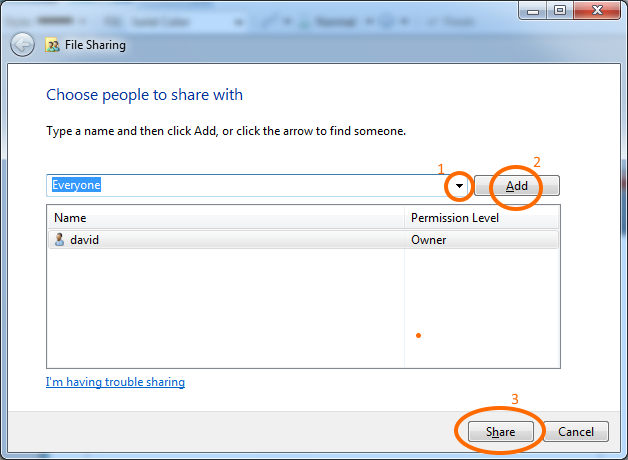 Click on Options and click the checkbox next to the username. You'll be prompted to enter the password for the computer. 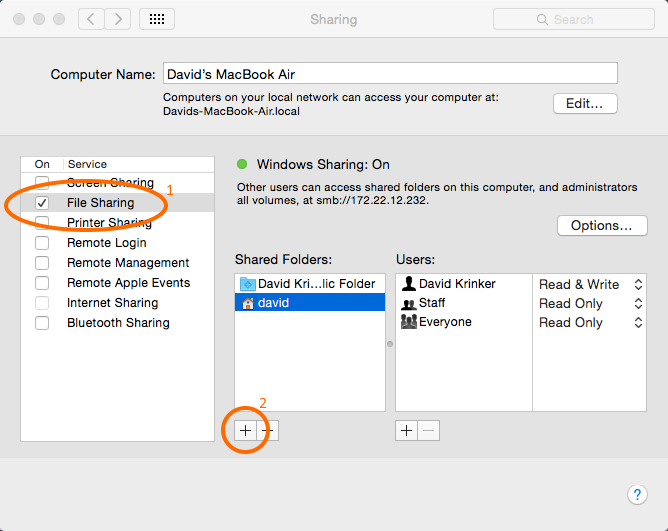 This option will be grayed out if you use your iCloud account to login to your Mac. Please refer to the QuickSync FAQ to learn how to create a separate login account. 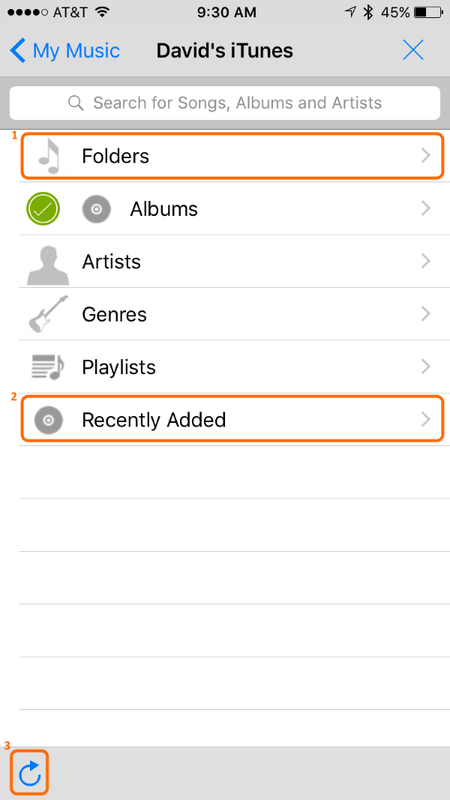 The next step is to use CasaSetup or the CasaTunes App and add a music collection for this shared folder to index, so that you can play this music with CasaTunes. 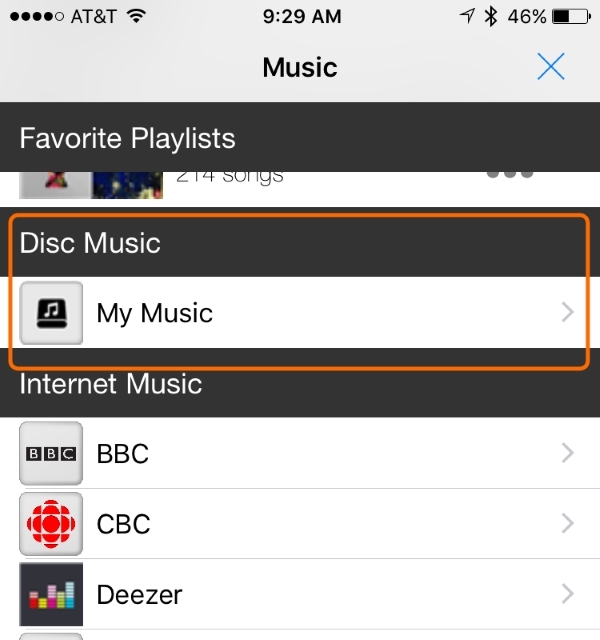 We recommend you use the CasaTunes App to setup a new music collection since it does not require you manually enter the IP Address. 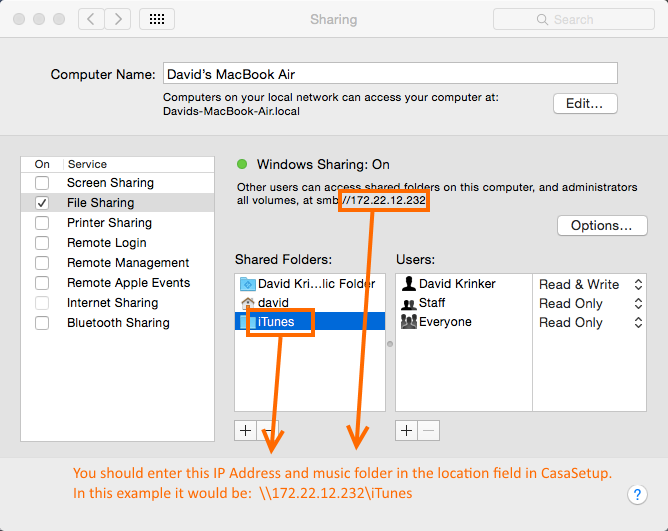 The CasaTunes App allows you to browse your computers and devices in your network, and then browse the volumes or shares on the computer or device. Congratulations, you have completed sharing your music so it is accessible by CasaTunes. 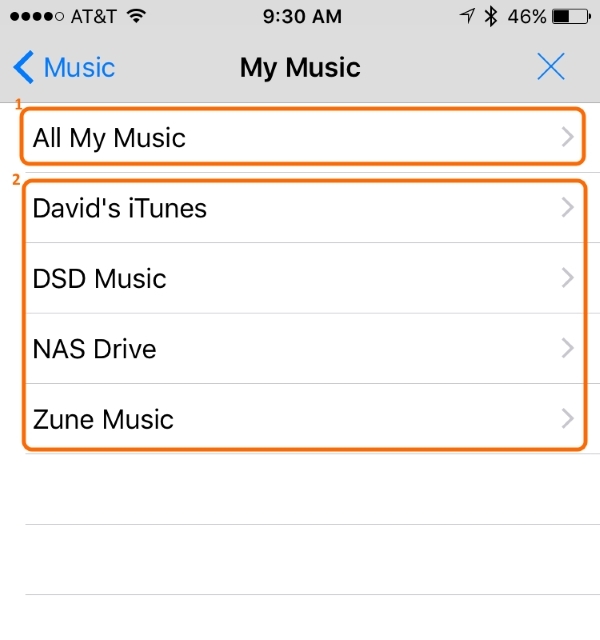 The next step is to use CasaSetup to configure a music collection that indexes the music on this shared folder so that you can play this music with CasaTunes. 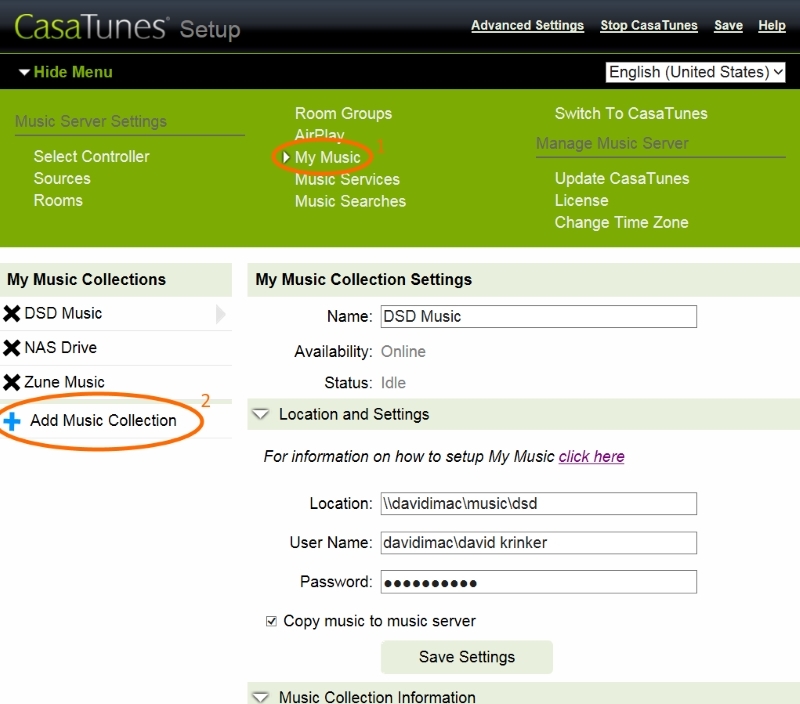 Now that you have shared your music, you must use CasaSetup to add your music collection to be indexed. 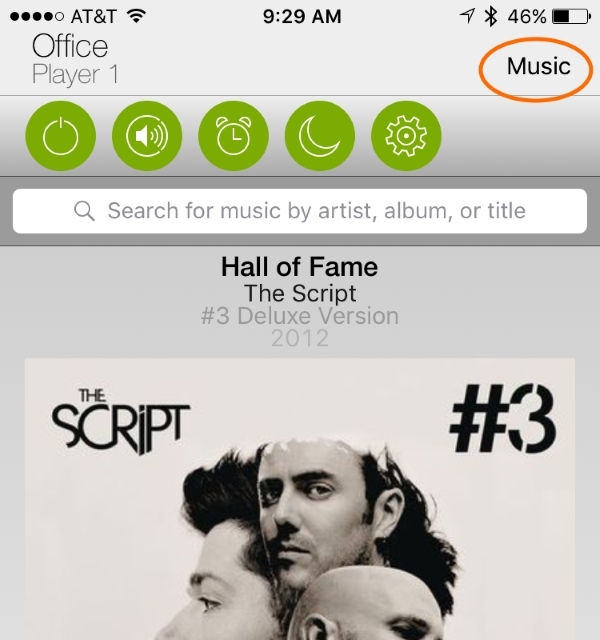 The following screenshots shows how QuickSync music collections are displayed in the iPhone App. Other Apps will be similar. All your QuickSync music collections are displayed. If you have more than one QuickSync music collection, we also display the special All My Music music collection. This collection is an aggregated or merged view of all your music collections. 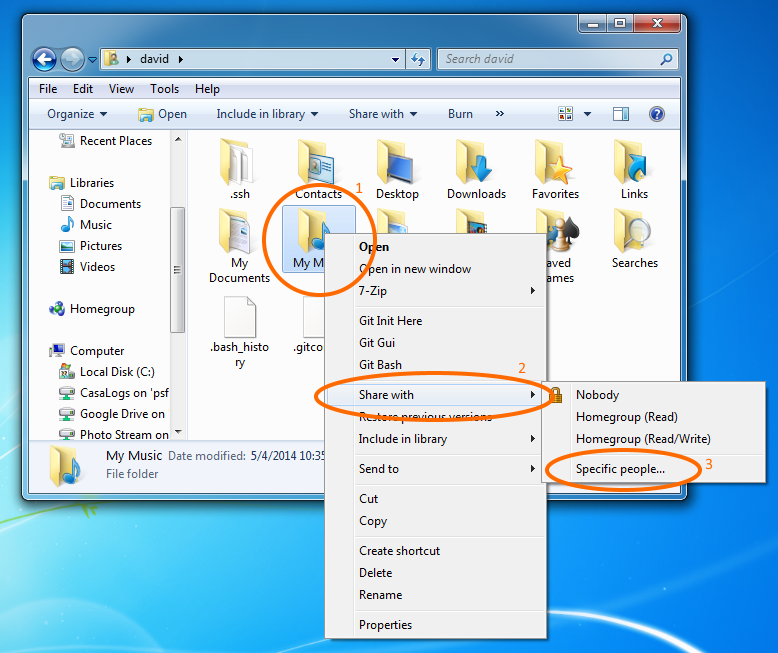 There is a special Folders collection which allows you to browse your music by hard disc folder. There is a special Recently Added collection which includes all music added to your music collection in the last 30 days. It does not include music added in the initial scan. If you added music to your collection, and it has not been automatically indexed, you can press the Refresh button to force QuickSync to re-scan or refresh your music collection. 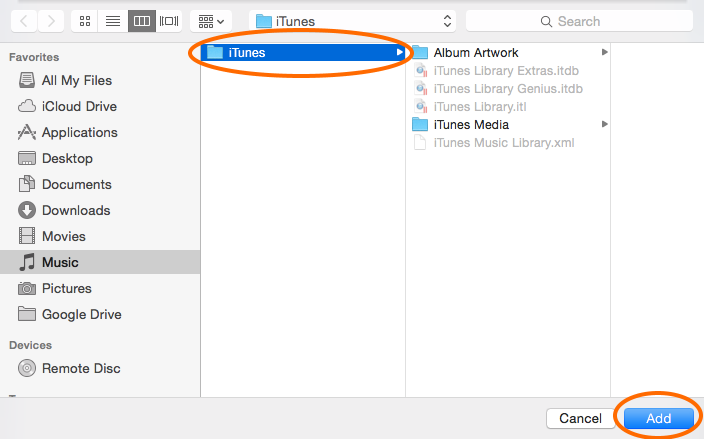 Although QuickSync automatically detects when music is added to iTunes, if your music is not in iTunes you will need to manually refresh your music collection.